Originally published by Journal Gazette & Times Courier. Reported by: Jarad Jarmon. MATTOON — Scotty’s Brewhouse plans to open a location this fall in the Cross County Mall, property owner Rural King Realty announced Thursday. Layout plans are still being finalized, but the new restaurant will likely be located in a newly redeveloped area of the mall near the east entrance. “We look forward to being a part of Rural King’s efforts to revitalize the Cross County Mall,” Scotty’s Brewhouse Brand President Chris Martin said in the press release. The new restaurant at the mall will be the second Scotty’s Brewhouse, an Indiana-based craft beer sports bar that is known for its unique burgers, fried pickle chips, and $4 craft beer pints, in Illinois, where there is also a location at 2001 S. Neil St. in Champaign. Scotty’s Brewhouse new restaurant is set to open at 11 a.m. to serve lunch and dinner seven days a week, according to the press release. This location will have seating for more than 200 customers in its dining room and bar combined. The restaurant will have 40 televisions showing national and local sporting events, plus a full-service bar with 32 draft lines featuring local craft beers. The food menu includes burgers, appetizers, and entrees. Scotty’s reported that guest favorites like dill chips, wings, and the award winning Shewman Special Burger featuring peanut butter. bacon and jalapenos are menu mainstays. Lunch items, gluten sensitive dishes, and vegetarian options are also available. Scotty’s Brewhouse offers a loyalty rewards program via a smartphone app. The app also features mobile pay, carryout ordering and location information. According to the press release, Scotty’s plans to open its Mattoon location this fall. The new restaurant will reportedly offer more than 100 part time and full time jobs. Employment Applications can now be submitted at www.scottysbrewhouse.com/careers. Scotty’s Brewhouse has 19 locations in Indiana, Illinois, Ohio, Florida and Texas. The original Scotty’s opened in Muncie, Ind. in 1996. 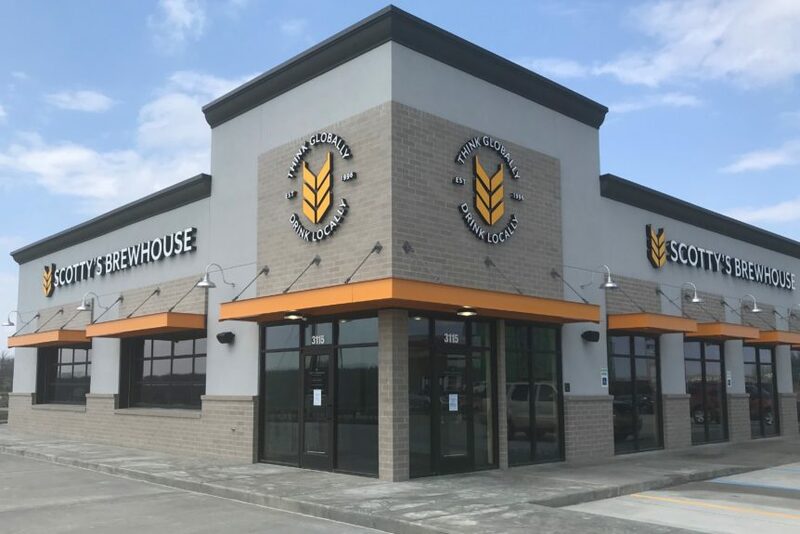 The press release reported that due North Holdings, along with ZGrowth Partners, acquired Scotty’s Brewhouse in late 2017 and they plan to grow the brand to 100 locations in the next five years. The Melvin and Speer families founded Rural King in 1960 with the goal of helping customers with their farm and home needs. Since then, the Mattoon-based company has grown to have more than 110 stores in 13 states. Rural King acquired the Cross County Mall in November 2017, and the company reports that it hopes to revitalize the mall as a community destination.